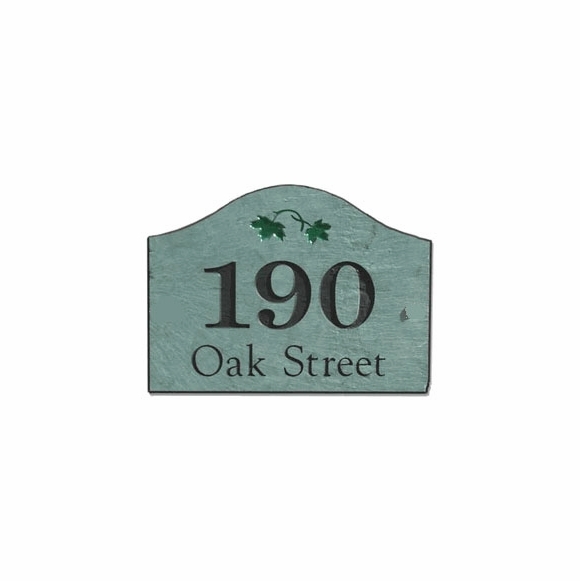 Stone Mill 32407 Slate House Plaque - - personalized home address sign from The Stone Mill®. Crafted from slate that is newly quarried in the USA, hand cut to size, sand carved, and painted with durable enamels. Two-line 10" x 14" sign holds an address number and street name. Made for you in the USA.